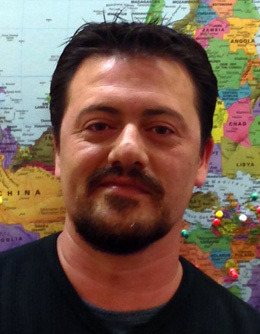 David Casero is an assistant researcher in the Department of Pathology and Laboratory Medicine, UCLA. He earned his BS in theoretical physics and PhD in applied mathematics at Complutense University in Spain. David conducted postdoctoral research in Matteo Pellegrini’s group (UCLA). His research was to exploit the then-emerging next generation sequencing (NGS) technologies to define the transcriptional landscape of the model Chlamydomonas reinhardtii and other algal organisms. Built upon a synergistic collaboration with Sabeeha Merchant, he played a central role in a large-scale community effort for the application and analysis of NGS data in systems biology of algae. He is now actively working on the analysis of sequencing data for the annotation and characterization of different families of RNAs, with a focus on non-coding RNAs and their relevance in plant, tumor, and stem cell biology. 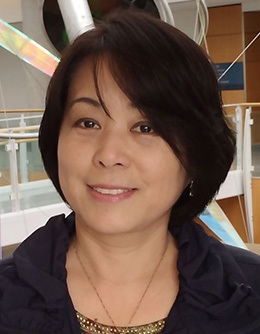 Yidong Liu, senior research specialist, Department of Biochemistry, University of Missouri, Christopher S. Bond Life Sciences Center, earned her BS in biology from Nanjing University in China and her MS degree in plant biology from the University of Texas at Austin. Working as the lab manager in Dr. Shuqun Zhang’s lab, her recent research has been focused on the functions of mitogen-activated protein kinase (MAPK) cascades in plant defense responses such as pathogen-induced ethylene biosynthesis and phytoalexin induction. Sheng Yang He grew up in rural China and obtained a BS in in plant protection from Zhejiang University and a PhD in plant pathology from Cornell University. Today, he is a Howard Hughes Medical Institute–Gordon and Betty Moore Foundation investigator. He is also a university distinguished professor of plant biology at Michigan State University. In 2011, Sheng Yang was selected as a AAAS Fellow, and in 2014, he was recognized as a Thomson Reuters Highly Cited Researcher in plant and animal science. 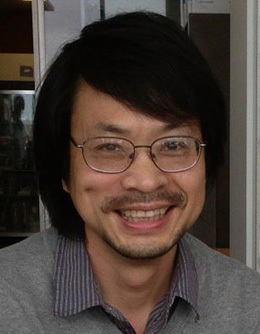 Sheng Yang is currently studying the molecular interplay between microbial pathogenesis and host immunity, with a focus on understanding how pathogens employ the type III secretion system and toxins to manipulate plant cellular functions, such as innate immunity, vesicle traffic, jasmonate signaling, and stomatal closure, to induce disease susceptibility. One new line of research is aimed at thwarting critical pathogen virulence factors to inhibit disease development. This is a great move to stop diseases in crops which has been a menace to Agriculture all over the world. Thank you.